The greatest gift is an immagination. When I am creating there are no boundaries, no limits, it is all about feeling. When I am not creating art, I'm thinking about it. Clay work is my passion and my ceramics are a visual documentation of my like's experiences, explorations and influences. The pieces are bold statement from the inner voice. Some have tribal rhythm. 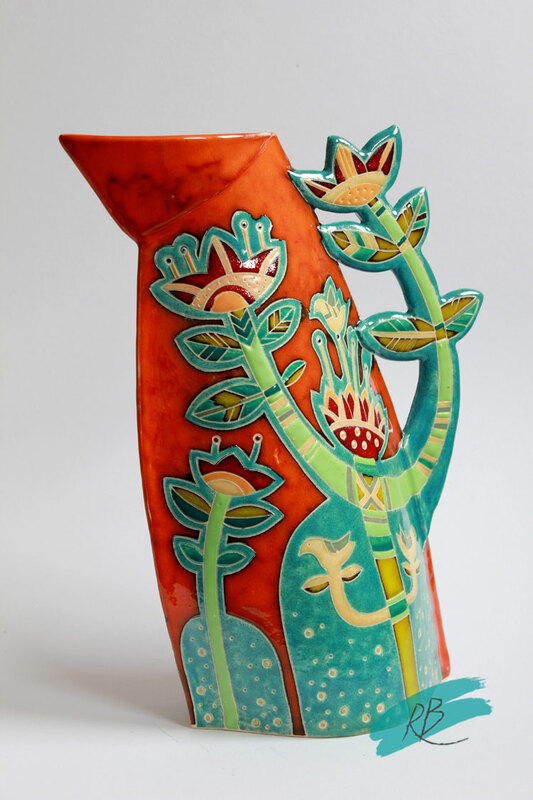 My main inspirations come from nature, old cultures, ethnic and folk art and also from the qualities of the clay itself and how it acts during the making process, firing. I like to create small new worlds and all has possitive emotions. You more then welcome to visit my studio at any time from 8 am to 5 pm every working days! 2008 - 2009 Academy of art, ceramic students continue project "Vilnius - Kaunas"